The roofing industry as a whole has experienced double-digit growth in the last five years, in part due to numerous weather events causing damage to buildings across the United States. Regular roof maintenance can help reduce the likelihood of damage in extreme weather and also means you that don’t have to join a waiting list for a new roof when the need finally arises. According to the Forbes article mentioned above, 90% of roofers say they could be doing 10-20% more business if they had the manpower to do the work. Busyness is good for the contractor, but can mean months worth of a wait for consumers in need major repairs or replacement. The longer you wait, the worse the damage and, ultimately, the more expensive of a repair. So what can you do?. Create a maintenance plan for your building from the top down. In regard to the roof, outline the basics of your roof maintenance needs, and decide how often a roof inspection should take place (a professional, experienced commercial roofing company can help you estimate). Create a detailed checklist of conditions to be on the lookout for, and understand the plan of action needed for anything that requires repair or maintenance work. Also, include a section with all of your essential roof information (read on to get an idea). Know when the roof was originally installed, and if available, have a list of the materials that were used to construct the roof. Have a list of the access points, their types, and date of certification. Include a log of previous repairs (it’s helpful to have pictures of the repairs) and list the name and contact information for the company (or companies) who completed those repairs. Even if you don’t implement an internal maintenance plan, you can still hire a professional roofer to come and inspect the roof. An experienced contractor will note any signs of damage or potential for damage while also providing roofing maintenance tips along the way. This will help you prevent a small problem from turning into a major one. The contractor will look at the installation of the roof and may even take a sample.They will also look for any roofing attachments that might need extra attention, which include items like skylights. 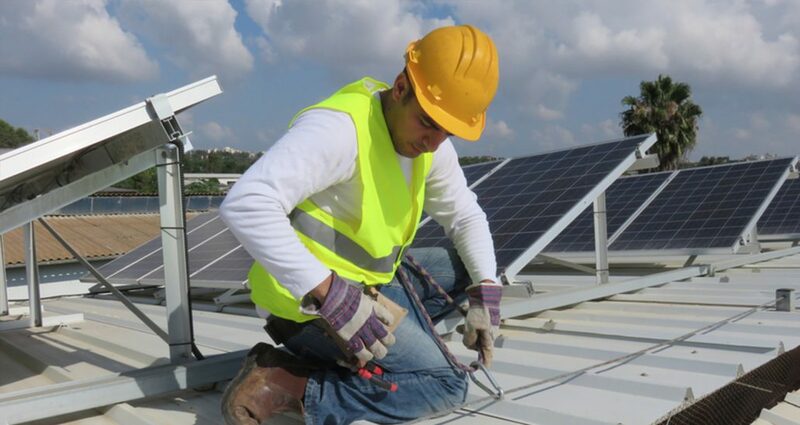 The commercial roofing company you use for preventative maintenance or regular inspection can make repairs on any items that need attention, and they can also bolster any weak points to prevent future damage. You may need to schedule an appointment for any larger repairs. Bi-yearly inspections and repairs cost far less than a major roof repair or replacement, and your business can remain open during these visits. Aside from regularly scheduled maintenance, it’s also a good idea to inspect after a major weather event. Extreme weather is your roof’s worst enemy. Since your roof is the first line of defense, it experiences the brunt of wind and rain. Strong winds will tear at the roofing materials, while debris can blow onto the roof. Rain will pool if the drains are not clear, and overflowing or standing water can seep into the building (where it should not be). Hail can crack or puncture your roof, while extremely warm temperatures can cause your roof materials to expand and crack. Following any of the above-mentioned weather events, inspections can help locate issues from the storm or just give you peace of mind! Problem areas left over time can turn into major issues. Small holes or openings in your roof can become a home for rodents and other small animals as they look for the warmth or protection of your building. Openings also create a place for water to flow, resulting in leaks that can affect day-to-day business. Standing water becomes a haven for mold to grow, and unfortunately, mold infestations are notoriously hard to eradicate. This also creates a dangerous health environment for your employees and customers. Hiring a mold removal company or partially replacing your roof costs significantly more than having the roof inspected twice a year. As they say: an ounce of prevention is worth a pound of cure! An effective roof maintenance plan can reduce leaks by up to 70% and double a roof’s life expectancy; the less amount of time damage has to build and grow, the lower your repair cost! Preventative maintenance plans often provide 24/7/365 leak response and storage of the data relating to your roof and its repairs. Best of all, you will have a trusted contact for major changes or emergency situations! Take the first step by scheduling your next roof maintenance inspection and have a professional, licensed commercial roofing contractor inspect your roof. Go one step further and hire a commercial company to complete regular maintenance visits and implement an internal maintenance plan for your entire building. By doing so, you can anticipate issues, repairs and (most importantly) costs! Finally, if there is an extreme weather event, have the roof inspected again (even if your regular maintenance visit was just completed). Have any leaks, tears, or weak points repaired ASAP. The best way to preserve the life of your roof is to be proactive with inspection and repairs. By spending a small amount of money now, you save a large amount in the long run. 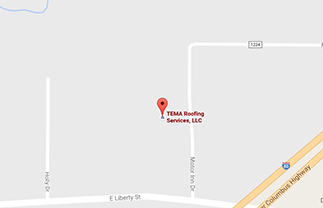 Schedule your roof inspection today with one of our experienced professionals.